“It was all a dream……“ is the most known sentence, when anyone remembers about the first days of falling in love with Hip Hop Music. Brous One’s first main influences had been Lord Finesse, Heltah Skeltah, Pete Rock and Brand Nubian back in the days in Santiago de Chile. 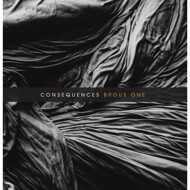 After becoming a well-known Producer within the worldwide underground scene through releases with Retrogott via entbs and many releases through the Vinyl Digital Label, “Consequences” is another major Album project. How wonderful, when consequences just lead to such precious results. The legendary US Hip Hop Label ReDefinition had the idea to release an album project together with Brous and so we all are more than happy to enjoy the ReDef Allstars on some of the best beats Brous ever produced! We welcome the ReDef MC’s El Da Sensei (of Artifacts), Blu, Sadat X (of Brand Nubian), Kaimbr, Kunal, N. Hardem, Raw Poetic and Flex Matthews on this project. Another great honor is, that Damu The Fudgemunk slipped back into his role as a DJ and refined the project with dope cuts & scratches. The Album is rounded off by additional guest appearances of Brous’ close friends Retrogott, Matiah Chinaski & Niko Soprano. When a dream of the past results in such consequences, this is not only a pure pleasure for your eardrums, but even another milestone in the development of sample-based Hip Hop Sound! Special Thanks to John & Damu of ReDefintion Records!